First impressions in business count – especially when it comes to your website. In fact, first impressions on your website are made quicker than we think, literally! It takes less than 1 second for us to form an opinion on a website, pretty much within a blink of an eye! When you have such little time to make an impression on visitors, it’s essential that you get your design right. One of the main elements, that makes your visitor’s first impression, is the hero image. The hero image is the main header image that dominates above the fold area (everything you see before you scroll), yet it is often hastily chosen without any consideration for its effect on both your website visitors experience and on your website’s conversions. In this post, I’m going to show you how effective hero images are for websites and how choosing the right image for your website can both compliment your website and push people to become leads. Something that businesses fail to realise is that your hero image isn’t to please your eye as the business owner, it’s to relate to your target audience. In fact, your whole website should be built with your target audience in mind. Using an image as your hero banner that you like but doesn’t really envisage your business message is just, well bad for business. Your target audience is priority. Instantly injecting emotion into your hero banner can create a significant impact on your visitors. 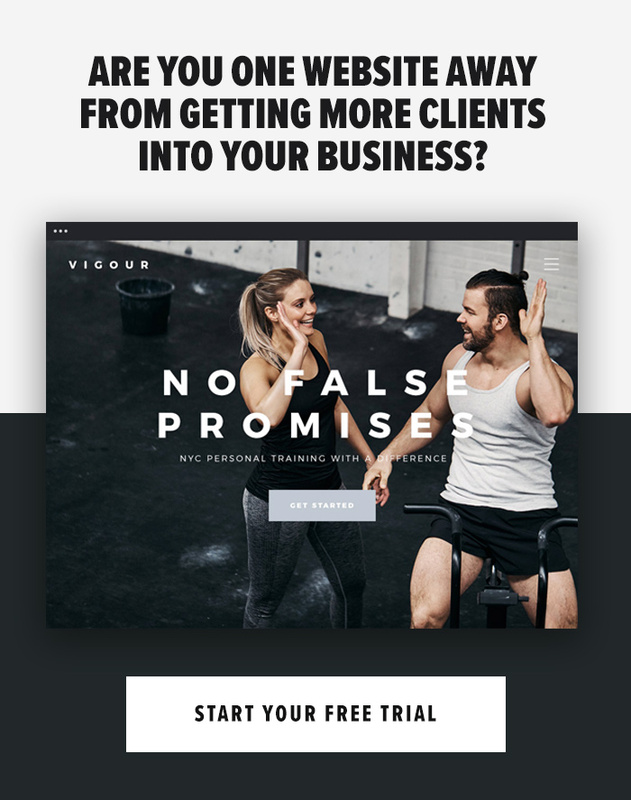 This works great for fitness businesses that want to target people with injuries, weight issues etc. Nourished Mum’s hero banner evokes positive emotion for new mothers looking to increase their energy and overall well-being. The image of a happy mother and her child instantly gives the impression that Nourished Mums can you and your child lead a healthy, happy life. Nourished Mums wants you to feel that their service will help both the mother and child. This picture does a great job at showing that exact emotion. A great way to capture a website visitor’s attention is by adding an action shot into your banner. Hero banners with action can help show off your services and give the visitor a taster of what they will receive from your services. Here are two examples of Active Blueprint websites that have implemented action shots into their header images. Both of these hero banners work well in showing visitors exactly what the businesses offer. Without reading any text, you can see what you’re getting from this website – if your hero banner does that then you’ve nailed it! Focusing on your service benefits, rather than how it works is great for fitness businesses. If you’re a personal trainer who helps people transform their body, use imagery of toned abs and fitness personnel. Due Chelsea’s website does the ‘benefits-focused hero banner’ perfectly showing how their personal training methods can transform your body. If you’re running a PT business then having a face for your brand is essential for building new relationships with prospects. Having yourself in the hero banner helps to build trust and credibility with visitors – this is the trainer – here’s what they do. Obviously, the founder-focused image has very limited applications and doesn’t work for every fitness business. Barry & Laura at Rock Solid do this brilliantly, not only showing themselves as the face of the business but also mixing it with an action shot, showing visitors what their business is all about. When it comes to your hero banner, the world is your Oyster. There are plenty of variations like the ones shown above, as well as, before/after shots, solid colour backgrounds, video backgrounds and much more. But the main goal of your hero image is to grab the visitors attention and make your serivce or product clear. The whole idea of a hero image is to make the visitor immediately know what your business is about and what idea it wants to convey. Next PostLow Conversions? Change your content NOW!